Hello! This week at Tuesday Morning Sketches it was my turn to pick a favorite sketch from this past year. I went with this lovely sketch by Melissa. Love all the layers and those little flags. 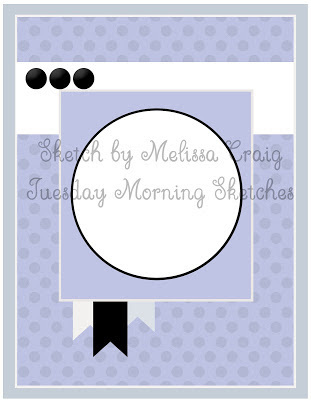 It was the perfect sketch to showcase some of this lovely new designer paper that I just got from Stampin Up called, Petal Garden. My sentiment is from Justrite and the leaves surrounding it are from Paper Smooches. I wanted to make this a Mother's day card but didn't have the right size sentiment to fit the die cut I had chosen. Love the colors so pretty! Thanks so much for stopping by and be sure to check out what the rest of the DT had made this week. Lovely card, Janice! 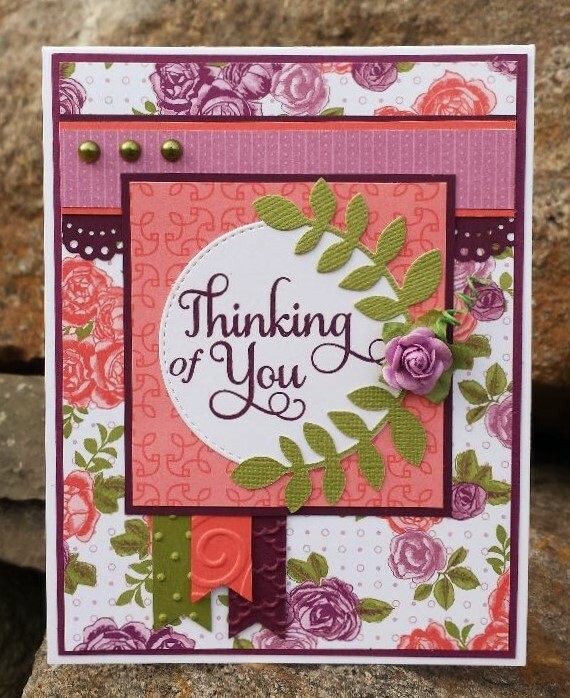 Gorgeous papers, and the color combo of coral and purples is amazing! Janice, I love this card. This was my least favorite DSP but you have done something remarkable with it. May I CASE? Stunning card. I so LUV the papers you've used; they really stand out beautifully. The paper is beautiful and the colors look amazing together! That little rose with those ferns is as cute as can be, and I like the scalloped border too! Great interpretation of this week's sketch! Absolutely beautiful!! Your papers are wonderful, and I love the perfectly matching rose! I do love this, the paper is so darn pretty and you ALWAYS put everything together so wonderfully! Goodness Janice, I could stare at this all day it's so pretty!! Absolutely gorgeous! I love all the bright colors in the paper you used, it's happy and cheerful (same thing, I know) and it totally makes me think of you. This is your color palette.